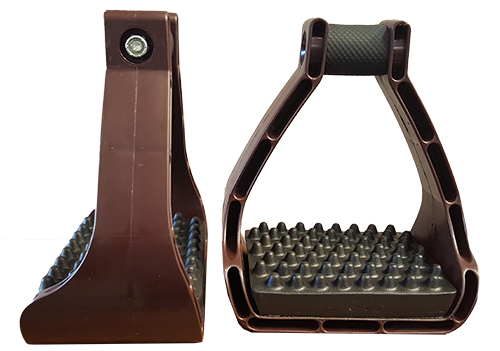 TW Saddlery Endura Stirrups are five inches wide from side-to-side and four inches deep from toe to heel, allowing for excellent weight distribution throughout the foot. 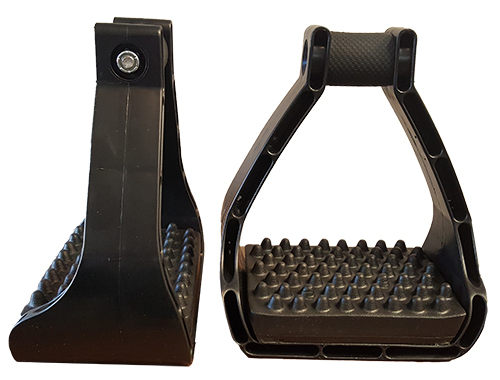 TW Saddlery Endura Stirrups are five inches wide from side-to-side and four inches deep from toe to heel, allowing for excellent weight distribution throughout the foot. 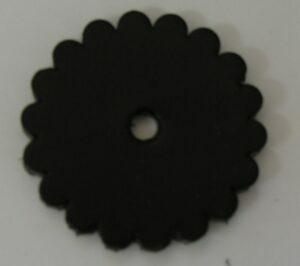 The thick EVA Foam pad provides comfort for the knees and back and helps prevent overall fatigue. 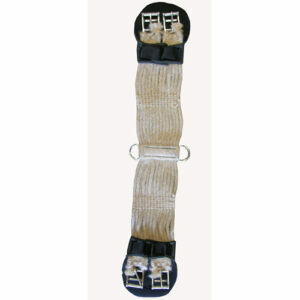 The patented top bar deadens the shock transmitted from the horse and long hours in the saddle without excessive bounce. 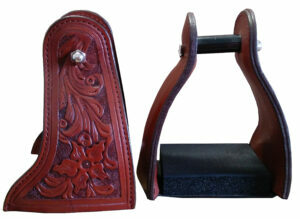 Available in 1.5″ (for Biothane Stirrup Leathers or trail fenders) or 2.5″ (for Traditional Fenders) neck size. 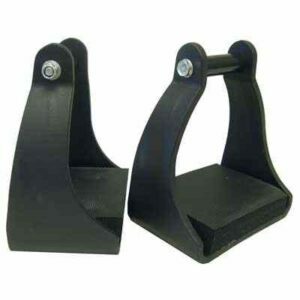 1.5" (for Biothane Stirrup Leathers or trail fenders), 2.5″ (for Traditional Fenders) neck size. 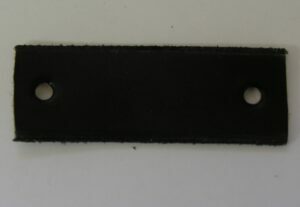 Neck Size Choose an option1.5" (for Biothane Stirrup Leathers or trail fenders)2.5″ (for Traditional Fenders) neck size.